Global topographic image of Mercury, centered on the northern hemisphere. Image: NASA/Johns Hopkins University Applied Physics Laboratory/Carnegie Institution of Washington/USGS/Arizona State University. Our solar system is rife with geologic activity, from eruptive ice moons to mountainous dwarf planets. Still, Earth always held a special place in the hall of geologic fame. It was the only bonafide planet to exhibit tectonic and seismic activity—until now. Mercury, a world just a little larger than our Moon that’s spent the last four billion years in a broiler, is also geologically active. That’s according to a new analysis of high-resolution images taken near the planet’s north pole in the final months of the MESSENGER mission. These images reveal numerous tiny fault scarps; offsets in the surface that form as Mercury’s interior cools and the planet’s crust shrinks. While Mercury’s has no plate tectonics in the terrestrial sense, crustal shrinking still qualifies as tectonic activity. It could even trigger Mercury-quakes. Since the Mariner 10 probe zipped past Mercury in the 1970s, scientists have been aware that the solar system’s innermost planet is scarred by enormous rifts and canyons. These features tell a story of of a planet whose crust has contracted over geologic time, like a raisin shriveling up in the sun. Smaller fault scarps, however, won’t survive more than a few million years on Mercury, an airless world whose surface is bombarded by a constant onslaught of meteorites. Watters also happens to be a mission scientist for the Lunar Reconnaissance Orbiter, which has spent the last few years snapping incredibly high-res images of the Moon’s surface, through which we’ve identified numerous tiny fault scarps. This tells us that the Moon’s crust is shrinking and quaking to this day. Several years back, Watters and his colleagues had an opportunity to find out. During the last 18 months of the MESSENGER mission in 2014 and 2015, the spacecraft entered a low-altitude orbit over Mercury’s north pole, and began snapping photographs at a resolution of less than 20 meters per pixel. Sure enough, a slew of kilometer-sized scarp features were quickly revealed. It also became clear that older, larger fault scarps remain active today. Based on Mercury’s size, conventional scientific wisdom holds that its core should have cooled and solidified billions of years ago. But recently, MESSENGER’s magnetometer produced evidence of ongoing magnetic field activity. If Mercury still has a magnetic field, it implies that part of the core is still be molten and convecting. The new high-resolution imaging seems to confirm this. One of the most intriguing implications of Watters’ discovery is that Mercury might be quite seismically active. Small fault scarps on the Moon are believed to be connected with moonquakes, which we’ve been picking up ever since Apollo astronauts installed a seismometer on the lunar surface. 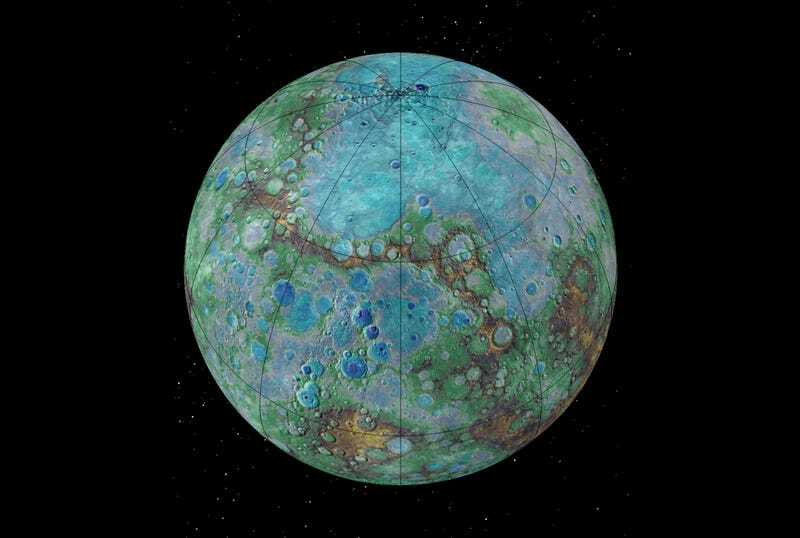 “If we ever get to the point where we could put a seismometer on Mercury, there’s a very good chance it could detect Mercury quakes associated with continued contraction,” Watters said, adding that ongoing seismic activity may help tiny scarps evolve into larger features. Until that future, Mercury quake-hunting mission arrives, Watters remains preoccupied with another mystery: how in the heck this tiny world has managed to hold enough core heat to stay geologically active for 4.5 billion years.